French coffee extract with premium taste without excess of bitterness. Since 1845 TRABLIT has been selecting the best coffees in the wold. As a demanding roaster, TRABLIT has a perfect command of the assembly of these coffee vintages, of their torrefaction and of the delicate extraction of savours and flavours to obtain subtle natural extracts of constant quality. Used by professional pastry chefs across the globe (both Pierre Hermé and David Lebovitz say it’s the best, to only name a few! 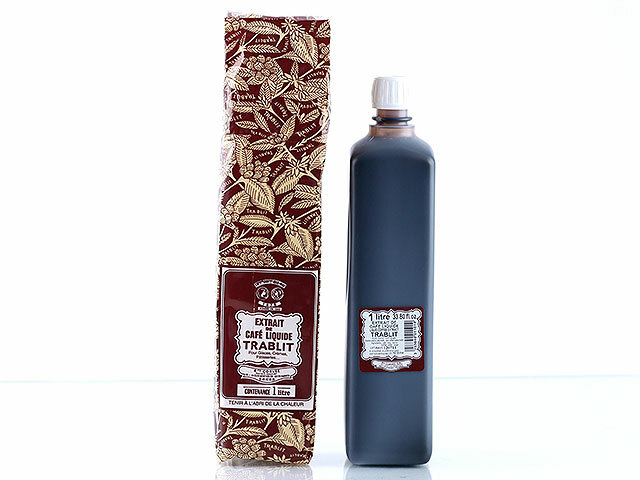 ), Trablit coffee extract is a premium pastry flavoring to give an extra flavor to cake, macaron, ice-creams, pastry cream, fondant... and many other treats.